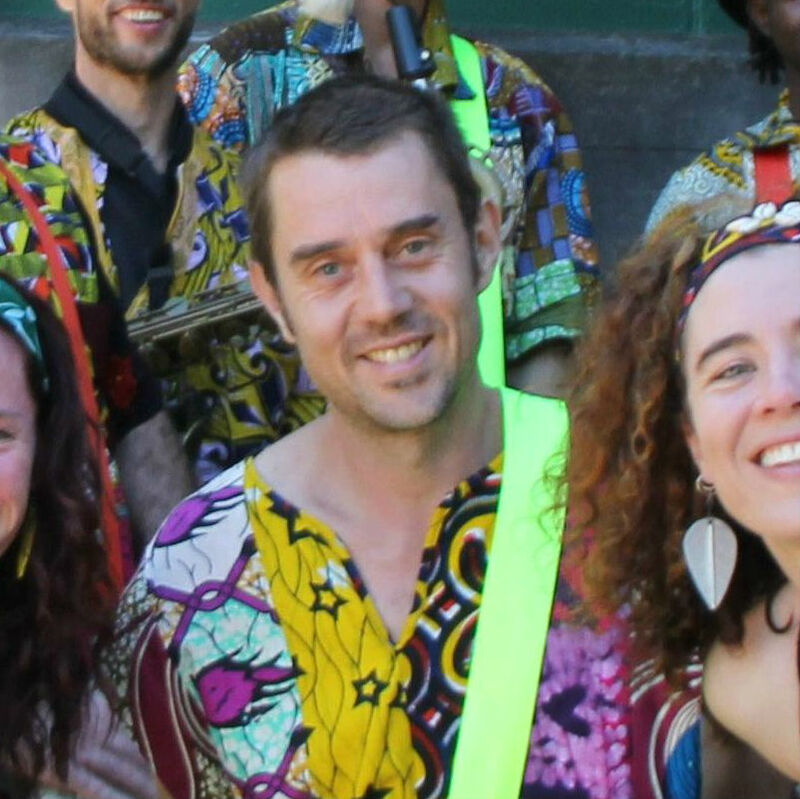 Run by Simon Lewis and Mitzi McRae, Melbourne Djembe is a creative company specialising in West African drumming and dance. We provide instruments, tuition, performances and corporate drumming experiences. Simon is highly regarded as a teacher of world percussion. 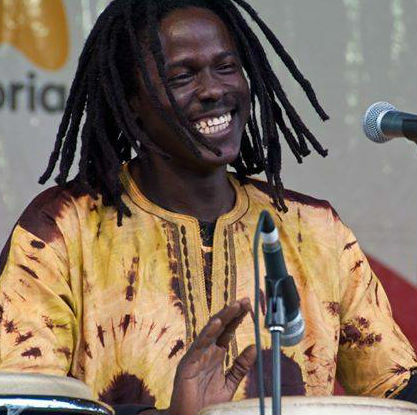 He has lived and studied traditional djembe, dundun, balafon and kora in Guinea West Africa with Master drummers Lamine Soumah, Aliou Sylla and the world famous Les Percussions De Guinea. 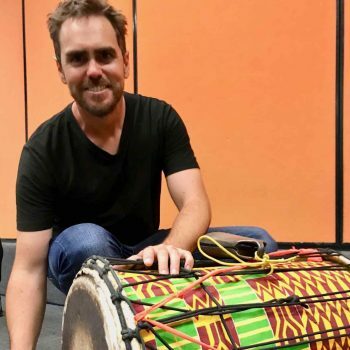 He is well known for his insightful and innovative teaching style which is both fun and challenging.With a background in classical and jazz his versatility and broad knowledge of music gives students a unique entry into the world of African drumming. Simon has performed in Japan, Europe and has performed at Womadelaide, Woodford and many other major festivals around Australia. 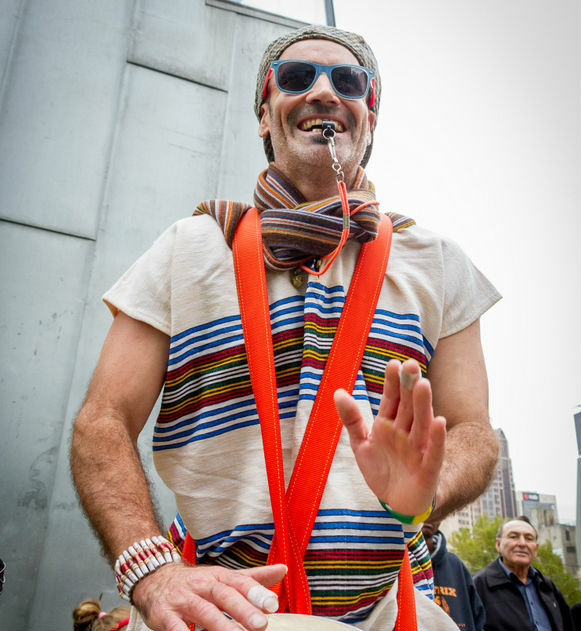 Founder and leader of The World Rhythm Ensemble and Zazu Simon is currently performing with many of Melbourne’s most dynamic percussion based ensembles including Wassawumba, Asiko, and The Marabou Project. Mitzi has studied West African dance for over 15 years and has travelled to Africa (Ghana, Burkina Faso, Guinea, Senegal, Gambia and Mali) and also to the United States to further her knowledge by learning from the masters. She is a natural teacher and over the 10 years of teaching African dance she has developed a unique style which provides a relaxed and open environment which is cherished by her students. Mitzi has been hailed as one of Australia’s best non-African female dancers and captures the energy, vitality, joy and strength of the African dance style. Many of her students have been attending classes for as long as she has been teaching! 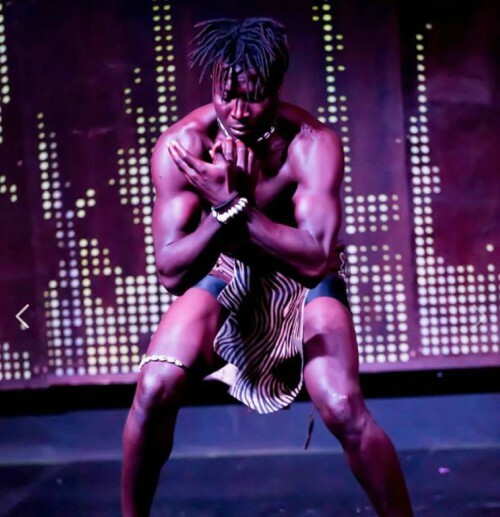 Having performed throughout Ghana, Mali, Benin and South Africa and now living in Australia, Kwame is emerging as one of Australia’s most talented in the traditional and afro-contemporary dance forms. Like many of Ghana’s top dancers, Kwame began practising his art on the street. 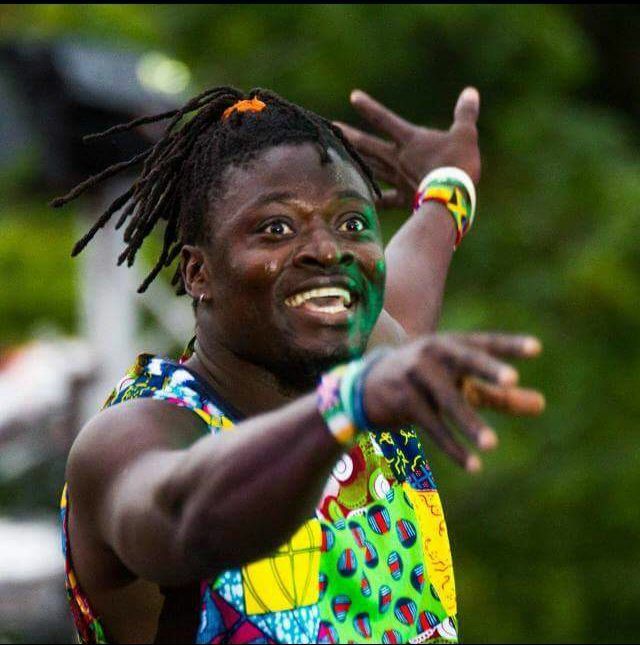 Finding a passion for dance he was picked up and rigorously trained by the renowned Joe Mensah, and later joined the Namo Ale Cultural Troupe, where he learned the intricacies of traditional Ghanaian dance. With a love for music that started with playing drum kit in Blues and Rock music, Nick started hitting the tubs at age 12 and hasn’t stopped yet. Nick has studied music in Darwin, Lismore and Melbs. He has been performing and teaching a wide range of music styles on drum kit and percussion all over Australia for 20 years. Nick regularly plays dunduns for dance classes and in the performance group Wassawumba. Born in Senegal to a family of artists, Lamine began to play music when he was 7 years old. “We are the Griots and have the obligation to pass dances, songs, music and stories to generations.” Lamine is a talented drummer, dancer and singer. A dedicated full time musician, Michael has been recording, teaching and performing since his teenage years. 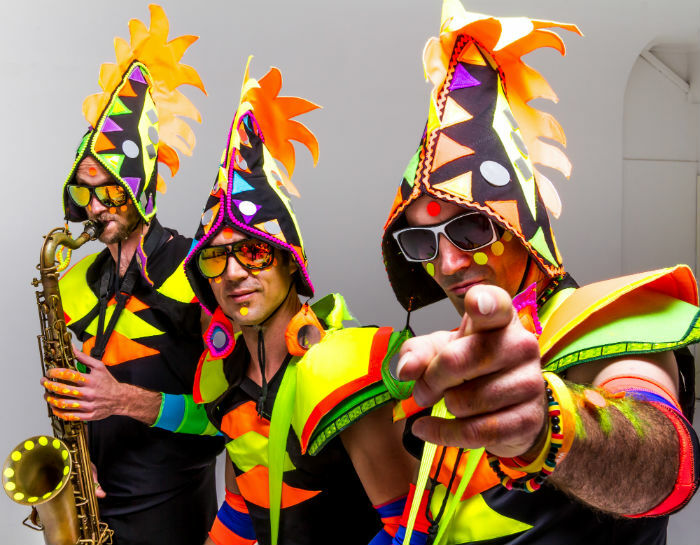 From early on, he took a keen interest in percussion ensembles with traditional African foundations and then complimented this by also playing drum set in melodic bands that play Soukous, Samba, Ska/Reggae and Funk. 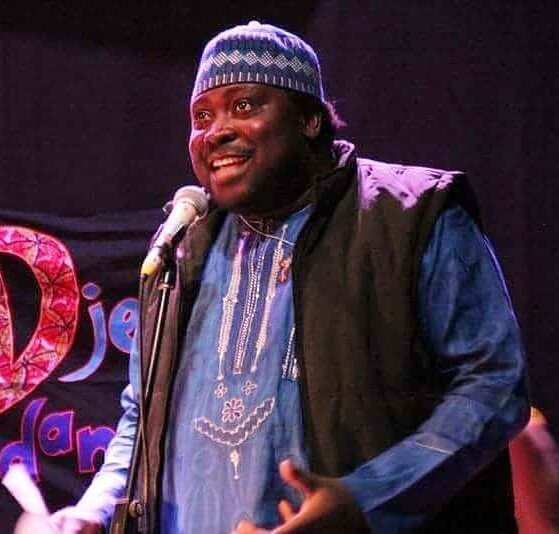 Michael has not only gained experience from performing with great artists locally and internationally but has also always endeavoured to grow, create and share with teachers and students of “Afro-Diasporic” based music. Adeniyi Ekine (Nigeria) is a multi-skilled media consultant who has a background in film making, TV/radio presenting and MC. He is a human rights activist and works tirelessly to create community and promote peace. He has worked in the entertainment industry all over the world, including West Africa, Singapore, Dubai, Korea, Taiwan and Egypt. Adeniyi has a charismatic personality and excellent communication skills. 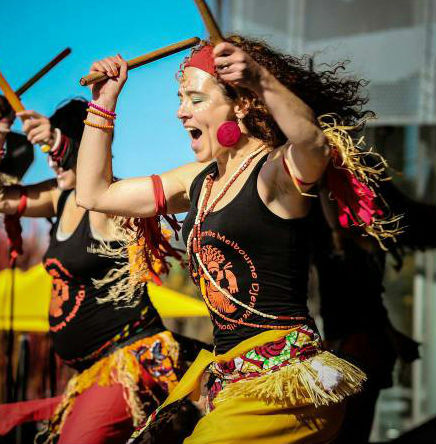 He works with Melbourne Djembe to organise, promote and MC drum and dance events. 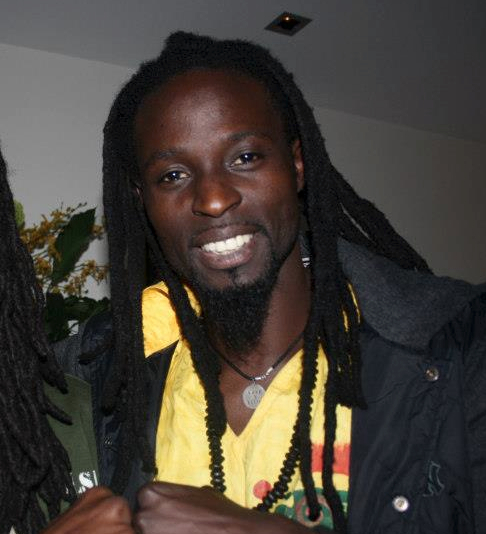 Ousmane comes from a mandinko family of musicians from Senegal. He is a drummer, singer, guitarist and composer. He has been playing all west African drums since his youth. Matt is a performer and teacher of music with over 20 years experience. He studied guitar at Victorian College of the Arts and has a diploma of teaching from the University of Melbourne. 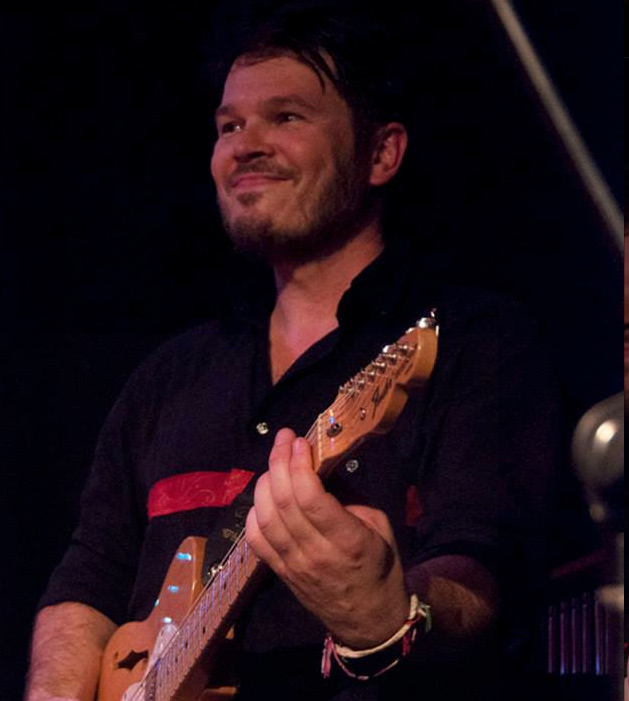 Matt’s great passion for African and Latin music is apparent as a percussionist and guitarist as well as his great love of writing, recording and performing all world ethnic music styles. Matt regularly plays in a kora/guitar ensemble with Simon Lewis. Nii Kpakpo Addo is a well-known Ghanaian master dancer, drummer and choreographer. He is a multi-instrumentalist with over 24 years’ experience in performance and has toured in Sweden, Israel, the USA and many African countries. Fred has worked with dance companies such as Nokoba Dance Company, Kusun Ensemble and the Anunyam Traditional Music and Dance Troupe, and he recently hosted a peace festival in Nungua, Ghana, called Womba Africa. Fred is passionate about promoting peace and unity through tradition.